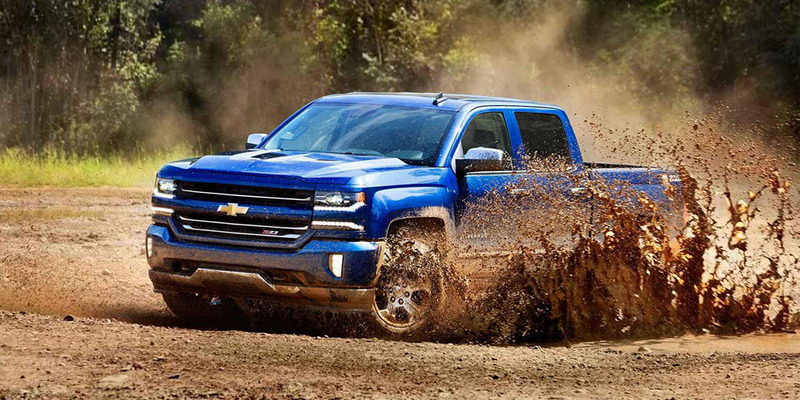 You can now purchase New GM T87A TCMs for your 2017+ GM vehicle equipped with the 10-Speed and 8-Speed transmissions directly from HP Tuners that are already unlocked and ready for tuning. 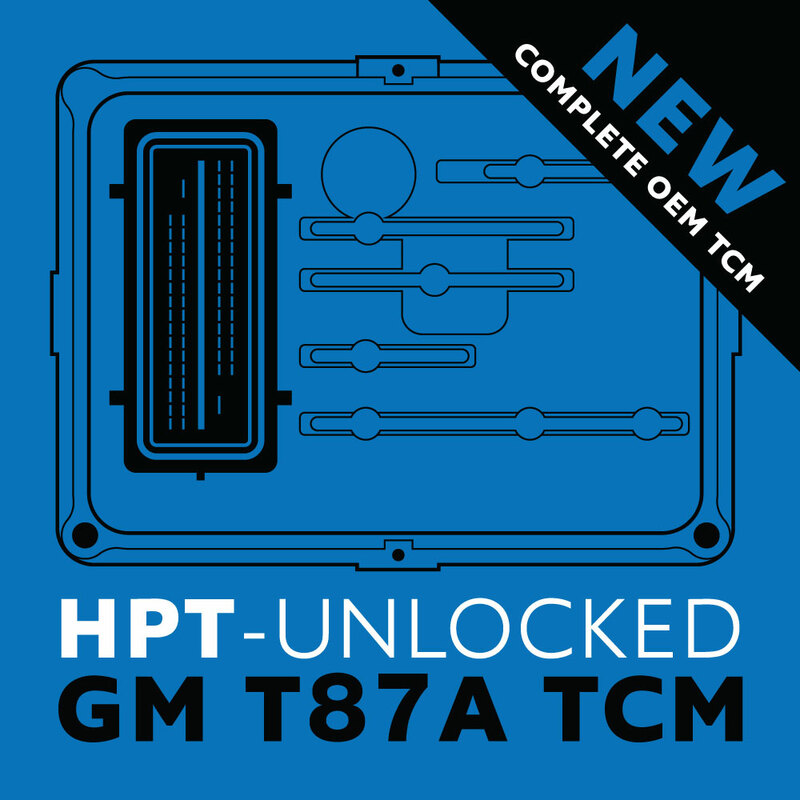 You can now purchase New GM T87A TCMs for your 2017+ GM vehicle equipped with the 10-Speed and 8-Speed transmissions directly from HP Tuners that are already unlocked and ready for tuning. 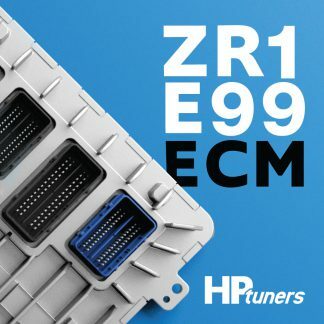 Simply install your new HP Tuners TCM, and you are ready to tune with your MPVI / MPVI2 and VCM Suite. 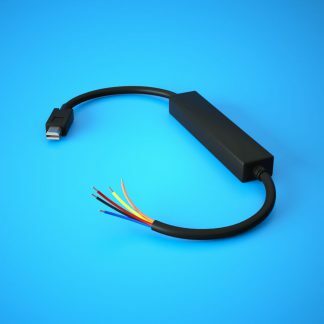 To purchase a new unlocked T87A TCM which is ready for tuning for your specific vehicle application, simply identify your Serv# which is located on the top of your T87A TCM, then select the corresponding Serv# from the above drop down menu and finally provide your VIN in the cell above. Lastly, once you receive your TCM from us, ensure you follow the Replace T87A TCM Instructions. NOTE: Locate your Serv# as identified in red in the TCM image here. 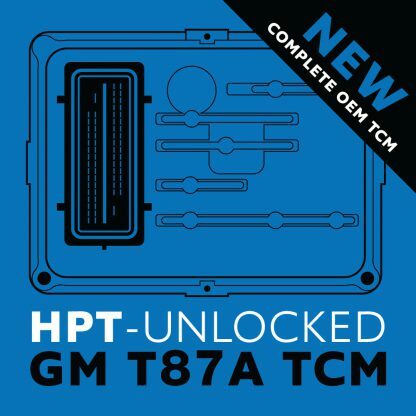 Please note this page is NOT the TCM Unlock Service, you are purchasing a NEW GM T87A TCM which is already unlocked and pre-programmed for use in your vehicle. 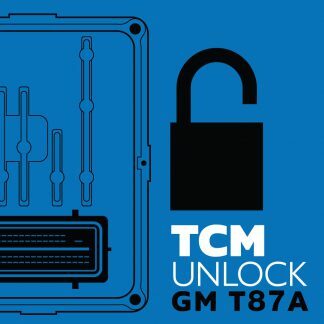 If you already own a T87A TCM and need it unlocked, head to this page TCM Unlock Service (T87A). Due to the added complexity, once unlocked the T87A TCM for the GM 10-Speed and 8-Speed needs to be individually licensed with 4 Credits allowing you to tune with your MPVI / MPVI2 and VCM Suite. Please note the MPVI2 and Credits are not included with this product, and need to be purchased separately. 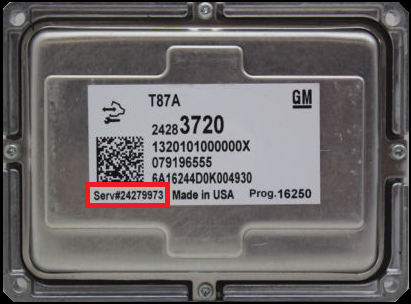 NOTE: The GM T87A TCM you receive will be unlocked and programmed for your vehicle, so it is critical you provide the correct VIN.